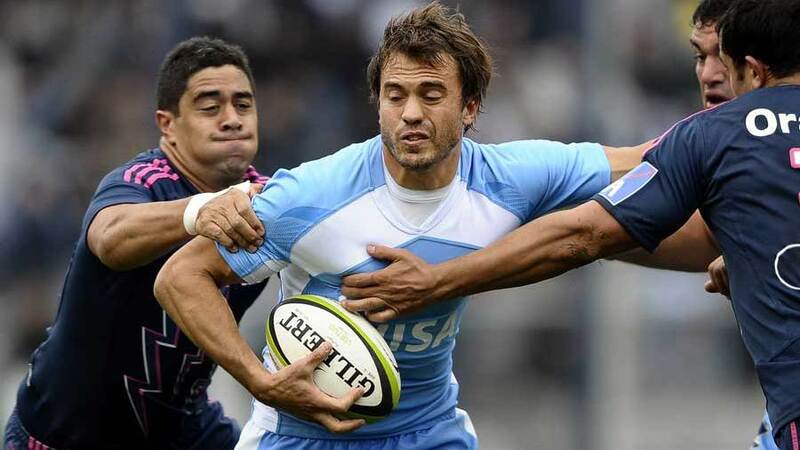 The Barbarians have called up veteran Ireland lock Donncha O'Callaghan and Argentina fullback Juan Martin Hernandez ahead of their match against England on June 1. The famous invitational side have confirmed their final 24-man squad with the group totalling 730 international caps. The squad featured nine different nations and O'Callaghan and Hernandez will be joined in the party by France's Francois Trinh-Duc and South Africa's Juandre Kruger. Clermont's Sitiveni Sivivatu has pulled out. Head coach Dean Ryan said: "It is a testimony to the special appeal the Barbarians has throughout the rugby world that we have been able to bring together such an experienced and talented squad of players. It's a privilege to be able to work with a group who have achieved so much and we're looking forward to taking on a young England side at Twickenham next Sunday." Forwards: Julien Brugnaut (Racing Metro & France), Schalk Ferreira (Toulouse), Mamuka Gorgodze (Montpellier & Georgia), Andrew Hore (Highlanders & New Zealand), Juandre Kruger (Racing Metro & South Africa), Alexandre Lapandry (Clermont & France), Juan Manuel Leguizamon (Lyon & Argentina), Nahuel Lobo (Montpellier & Argentina), Donncha O'Callaghan (Munster & Ireland), Ti'i Paulo (Clermont & Samoa), Sona Taumalolo (Perpignan & Tonga), Joe Tekori (Toulouse & Samoa), Roger Wilson (Ulster & Ireland), Davit Zirakashvili (Clermont & Georgia). Backs: Jimmy Cowan (Gloucester & New Zealand), Tomas Cubelli (Belgrano & Argentina), Hosea Gear (Toulouse & New Zealand), Juan Martin Hernandez (Racing Metro & Argentina), Brock James (Clermont), James O'Connor (London Irish & Australia), Rene Ranger (Montpellier & New Zealand), Joe Rokocoko (Bayonne & New Zealand), Benson Stanley (Clermont & New Zealand), Francois Trinh-Duc (Montpellier & France).